It is a traditional medicine and is being used the world over for propylaxis against ageing and disease. It has anti fatigue, anti stress and CNS stimulant properties. 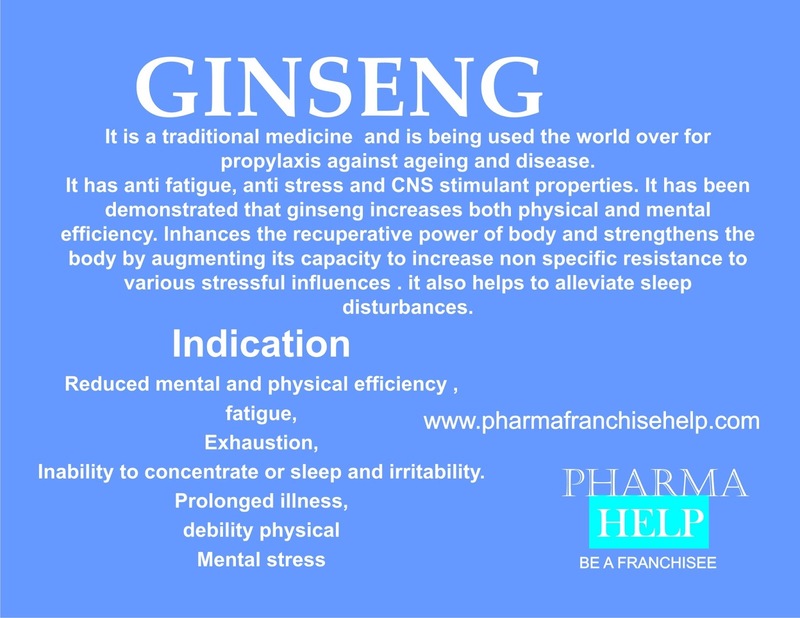 It has been demonstrated that ginseng increases both physical and mental efficiency. Inhances the recuperative power of body and strengthens the body by augmenting its capacity to increase non specific resistance to various stressful influences . It also helps to alleviate sleep disturbances. Inability to concentrate or sleep and irritability. Mental stress and chronic alcohol intake.